It provides a road map for your business. It helps you obtain outside financing. The good news is that developing a business plan is not as hard as it seems. In order to develop a solid business plan, you need to have a thorough understanding of the business you're entering. Next, you need to determine how you'll use the plan and who your target audience is. Finally, you should create a complete a business plan that is comprehensive and concisely written. We'll explore each of these steps in detail. In order to prepare a business plan, you must know the business you are entering inside and out. This means lots of research. Research comes in two forms: reading everything you can about the industry and talking to those who are already in it. Learn everything you can about your business and industry. A business plan serves to crystallize your business vision and guide you in fulfilling that vision; it is also frequently used to entice potential investors. If you are self-financing your business, you design the plan mostly for your benefit, but if you're seeking outside investors, you'll need to target them. As such, before you create your plan, determine whether you will solicit outside investors. 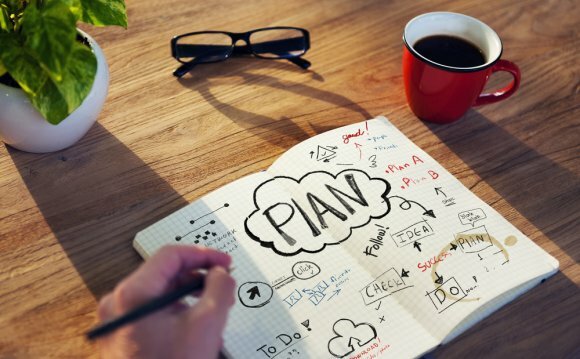 First, develop an outline of your business plan. Consider every aspect of your business and how it will affect your business plan. Remember, this business plan is a road map. It must guide you. It must also communicate to investors what you're doing and why they should invest with you. You'll probably also want to note any personal seed capital you're investing in the venture. Financiers want (and often require) entrepreneurs to put their own funds in the venture, and the greater the portion you invest relative to your net worth, the better. Now let's review each section of the business plan in detail. The mission statement is a concise, one- to three-paragraph description of your business objectives, or your business's guiding principles. In this section, you should state your unique selling point, or what separates your company from all the others in the industry that are otherwise just like it. This is a one- to two-page summary of your business. Potential investors will read this to decide whether they want to look at the rest of your plan. Create a section describing your product or service offerings in detail, as well as how much you'll charge for what you're selling. 4. Target MarketPresent your primary and secondary target markets, along with any research that demonstrates how your target market will benefit from and consequently purchase what you're offering. Use realistic projections. In estimating the growth of your business, you will make certain assumptions, which should be based on thorough industry research combined with a strategy for how you'll compete. Also, analyze how quickly you'll achieve positive cash flow. Investors vary in their standards, but most like to see positive cash flow within the first year of operation, particularly if this if your first venture. Strategic planning software is a computer application that aids in the strategic planning process. The user is guided through the steps of the planning process, perhaps with the help of a wizard.